Welcome to 2015. I hope it will be a good year for you. I also hope it will be a good year for me, and to help me along the way I have spent a bit of time planning my goals for the next 52 weeks. Run a sub 1 hour 25 minute half marathon. That was the main goal in 2014 until I injured myself, so I would like to get this done, hopefully within the first part of the year. My next half marathon is in March. 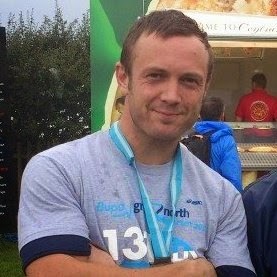 Raise £1,000 for Guide Dogs through running. My Mum is blind and her guide dog is the only way she can get out of the house and still remain independent. I would like to help this really worthy cause. Lose 39 pounds in weight. At the minute I am carrying too much weight for running the times I want to achieve, so shifting fat will get me faster, leaner and help me fit back into my clothes. This will be done steadily through a combination of a good diet and plenty of running. My target weight is 159 lbs (11.4 stone). For tips on planning to lose weight, check out my New Year's Resolution To Lose Weight post. Quit Smoking. This is a big one. The only thing I actually plan to give up this year. It will help my running, improve my health and save me a small fortune. I'll be using Allen Carr's Easy Way to Stop Smoking to help me stop within the next week. Start running Park Runs. They are free and and seem to be a great way of racing every weekend around the UK. There aren't any in my area, so I will have to do a bit of driving to find the nearest one. However, it sounds like fun, and will help with getting a good 5K time. Earn a Born 2 Run t-shirt. To do this I need to run 5 out of 6 of these 10K trail runs. They are a great way of clocking up training miles while also competing in some of Northern Ireland's most picturesque locations. I have 1 race completed and my next is in two days time. I also hope to keep improving my finishing times. Take my dog Sheldon for 300 walks. Yes, I will count every one and tick them off. He loves them and our 15 minute walk burns off about 100 calories for me. That's 30,000 calories over the year, which should result in some weight loss. Run the Great North Run in under 1 hour 20 minutes. This would be a very fast time, but if I put my mind to it I could complete it. That would be only twenty minutes slower than Mo Farah finished it last year. It will be a lot of hard work, but it's not impossible. I have already got my place which I suppose is one step closer. Win prize money. If this happened I would be delighted, not for the financial gain, but for the fact of placing in a race, or series of races. Not only will I have to get myself in peak condition, I'd also have to beat some very fit runners. It's more of a dream than a goal, but that's what it's all about isn't it? I started my training to reach some of these goals this morning with quite a hungover, slow, short run. 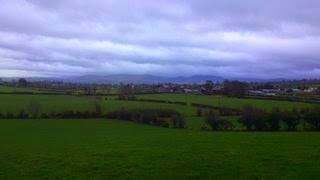 It was more about getting the first run of the year done, and although it wasn't the nicest of weather, it did feel good to get out. I have a race in less than 48 hours, so I'm going to get my kit ready for that, use the foam roller to help my muscles and rest up for a day. I wish you all the best for 2015, I hope it is a good one for you.